Bath will be the next challengers bidding to wreck Hartpury’s Twickenham ambitions in BUCS Super Rugby this week. Despite suffering their first defeat of the season as they went down 42-10 at Exeter University last week – the Devon side taking their revenge for a hefty defeat at Hartpury earlier in the season – Sebastian Negri’s Hartpury University Centre side still sit at the summit of the new competition, albeit only a point clear now of Loughborough, who have played one more game. Hartpury are yet to face this Wednesday’s opponents this season though, who sit fifth but with a game in hand on the league leaders and having played two less than some of the teams above them. And while Bath head into the floodlit clash at the University’s training village (6.30pm kick-off) on the back of a solid 15-13 win at Cardiff Met, Hartpury have a good record against them home and away and they will be keen to get back on track after last week’s below par display. Hartpury Director of Rugby, John Barnes, said: “Bath are a decent side. They are well coached and the fact they have beaten both Loughborough and Cardiff Met this season shows they cannot be taken lightly. “Last week was a very difficult game for our boys and we’ll be looking for a reaction after that. “We had similarly below par first half performances against Leeds Beckett and Northumbria but we had enough to be able to get back into those games and win. That wasn’t the case at Exeter – a place where we have always struggled. 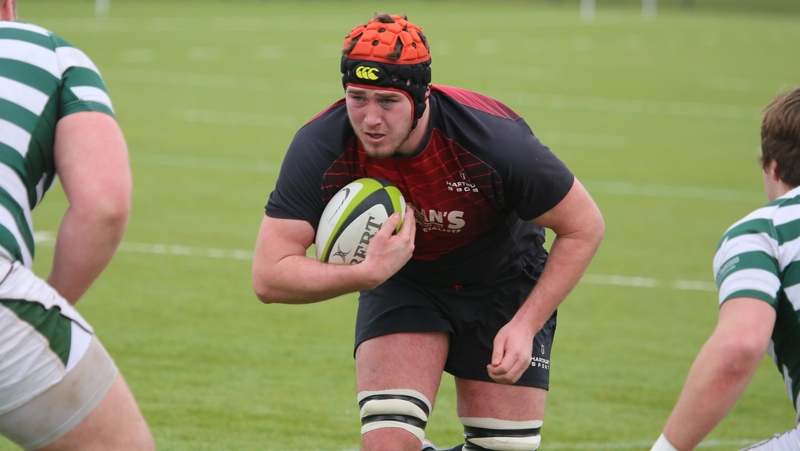 Hartpury will be boosted by the return of second row Henry Harper (pictured) on Wednesday, but winger James Neal is out with a foot injury.